The design genius that is....Isabel Marant. completely and utterly cohesive. totally brills. Know what else? Need those ankle strap chain pumps like yesterday. Just sayin. what are your favorite looks? We are inching closer and closer to the launch of Shop Frankie's! Make sure you subscribe to be the first to know when the site launches and to get exclusive discounts! 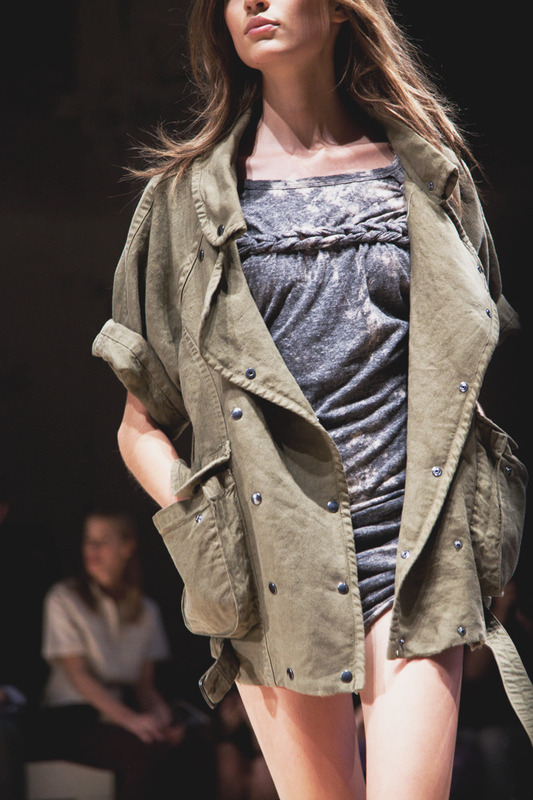 God, I love everything about this collection - Isabel Marant is like my favorite esigner right now! I see why you picked this collection/designer to feature, EVERY SINGLE piece is something I could see you wearing. Its all completely your style and very wearable and unique! So want any of the patchwork denim from that Isabel Marant collection in my closet! I love those knits pieces, they all look wonderful. Isabel Marant is a design genius! Love her. She makes brilliant jackets and I love that black tunic! I can see you wearing any one of these ensembles~they scream Nicole! Love the semitransparent dress in the 5th photo! Come and visit my blog, and if you like it, follow me, I'll be waiting for you! Love IM bc her looks seem too avant-garde for a regular girl, but each piece is actually extremely wearable and amazing! I wish I had the whole collection in my closet! that looks like an amazing show! The chunky knits are to die for! Love every look! BTW, I can't wait for your Shop Frankies! Gasssp.. those sweaters are to die for. Especially that one 4th down with the pink shorts...... DIY??? the chunky knit ivory sweater and the first dress. holy shitballs.